•You are allowed entry to this Challenge once per day. •You can stay past the Daily Limit if you are still doing the Challenge. •No Revives and No Health Potions! There's a reason why this is a challenge, so don't think you can just plow through this easily. Once a Bot is KO'd, they are KO'd for the rest of the quest. •Overlord deals an Additional 50% of Attack as Direct Physical Damage. Overlord blasts the Opponent 4 times with his Jet Cannon, before the Jet detaches itself and rams into the Opponent. •100% Chance to Inflict Heal Block for 6 Seconds. •Jet Ram has a 40% Chance to Stun. Overlord bashes at the Opponent's head with with both of his fists closed together at full force, dazing the Opponent. Overlord proceeds to fire 8 missles from his chest, hitting the Opponent. •The bash to the head deals an additional 100~150% of Attack as Direct Physical Damage. •The bash to the head has a 100% Chance to inflict Heal Block for 10 seconds. •Each Missle Attack has a 20% Chance to inflict Burn, dealing 15~25% of Attack as Heat Damage for 5 seconds. Overlord splits and transforms into both his Tank and Jet mode. The Jet Mode circles the Opponent, firing at them, while the Tank mode stays in place, firing energy blasts causing the Opponent to falter. Overlord transforms back into robot mode and sucker punches the Opponent, knocking them down. The Opponent tries crawling away, but Overlord stomps on the Opponent's back, making sure they hold still as he prepares to finish them off with his favorite weapon: His bare hands. Overlord brutally punches the Opponent, beating them to a pulp until they are nothing more than a stain on the pavement. •100% Chance to inflict a Permanent Heal Block Debuff after the Tank's first Energy Blast. •Melee Attacks deal 2~7% more Damage for each Debuff inflicted on Overlord during the fight. Once Overlord starts his rampage, all attacks will be brushed aside like nothing. •Overlord gains 4 Invincible Charges. •Invincible Charges reduce all Damage to 0 and each charge is removed when Overlord is hit. 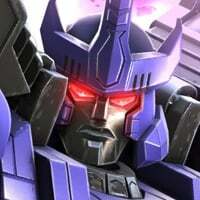 •Each Charge increases Overlord's Attack Rating by 5~15%. Overlord: Whenever he's hit by a Crit, Overlord has a 50% Chance to gain a Fury Buff, raising Attack by 10% for 8 seconds. 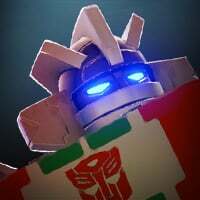 Ratchet: Ratchet may be able to Heal from most devastating attacks, but the problem is: This is Overlord. Oh, and Overlord can Heal Block. 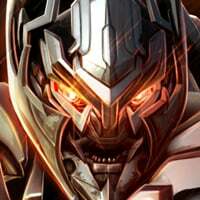 Megatron G1: Megatron's permanent Debuffs means less Debuffs to apply to avoid that pesky SP3. It shows that no matter how hard Overlord tries, he can never beat the true Emperor of Destruction. Optimus Prime G1: A permanent Armor Break can make Overlord's Invincible factor inoperable. 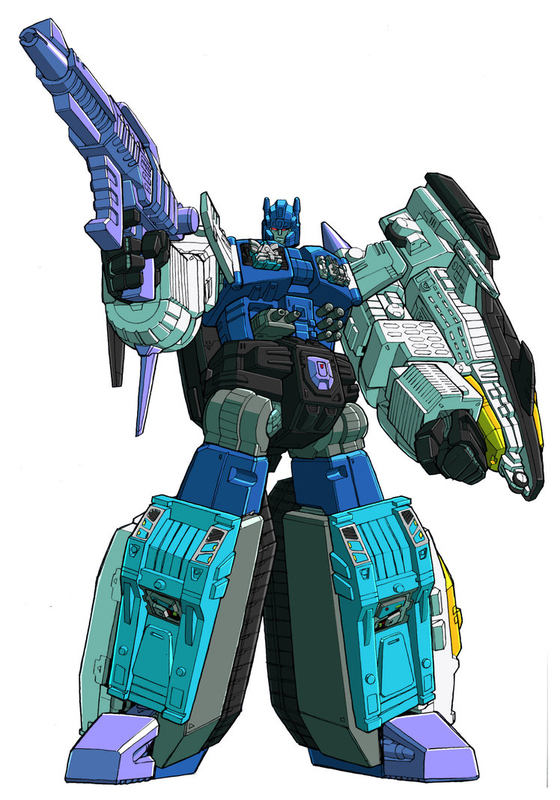 Prowl: Prowl's Power Drain can prevent Overlord from Activating any Specials, thus preventing his sig. The best thing to do in this Challenge is to keep yourself alive. 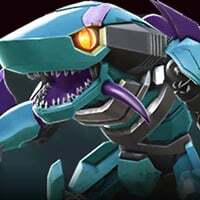 All of the Beast Wars Bots are unique in their own way, especially Primal, but adding them together would get that nice Beast Purification Synergy. Manipulating Power can give you an edge in most fights. Please note that I labelled Sparks as Catalysts for most of them. It was due to getting Catalyst's from MCOC and Sparks mixed up since they have the same function. Thanks. 200 fights a day? That's impossible. I'm currently doing 180 fights for arena 1.5 mil milestone and that's burning heavily my desire to play the game. What about doing 180 + 200 a day? The whole idea is awesome, but I have the feeling that it either have to be 100 bots tops, or weekly with 200. I think your bot power should ramp up a lot quicker, but I would like to see this added to the game. Well tbh while reading Overlord's bio i thought "Hey is this guy really mentioned as Brawler lol cuz he's like a demo having a complete advantage over OG prime with his tonnes of armour breaks and bleeds(debuffs) and healing via ratchet " but then i read the weak match ups. What do you guys think of that awesome game idea 💡? You are right, daily sounds a bit unjustified. So Weekly will suffice. But once the week is over, you get kicked out to retry the Challenge all over again. Tarn and Sixshot were actually candidates for the Final Boss since they were all brutal villains, but I wanted to pay tribute to the Wreckers Triology, and who better to use than Overlord. I also had plans for a Mini-Boss; Tarantulas, as another tribute to the Wreckers comics, but I discarded it since 1 Boss was enough. Also, what dI'd you mean by them not having a class? I'm just confused by the statement is all. Thanks! A different difficulty setting would be interesting, but it's gonna be hard to decide the rewards lol. And a 6-Star Boss fight could fit with another character. Believe it or not, this is Overlord after I nerfed him. Kabam you need to seriously consider crowdfunding this! Jeez, that sounds like a nightmare lol. Sounds like something for Thunderwing or even Unicron. Yeah, the whole theme of the 200 Bot Challenge is progression. The farther you are able to go determines how skilled you are. If you can't get past the first 5 rounds, then that means you suckyour a Beginner. If you're able to complete the challenge, then you are a Master. The more you progress, the better the rewards are for the players that deserve it. Also, Special thanks to everyone that liked the Idea! 200 fights... Minus the crashing/freezing happpening every other 4th or 5th fight. Yeah, sounds like a plan. Oh no, not reality. It's Kabam's fault for not fixing the lag when they should have done it a long time ago.